Protect your fairing from the elements! BRA-100: Synthetic stretch fabric & heavy duty elastic trim, hook and strap© installation. 100% Manufactured in USA with 12 month OEM limited warranty. Protection with durable, breathable, quality material protects painted surface from common daily wear without damaging clear-coat paint finish. Tight fit with stretchable fabric allows for a tight, secure, contoured fit around fairing. Compact size and washable because of unique material and design allows for easy cleaning, quick drying and compact storage when not in use. The fastening system allows for quick and easy installation and removal of the mask with no cutting, drilling or permanent alteration to the motorcycle required. 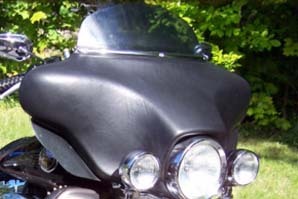 Fits all Bat-Wing Fairing equipped Harley-Davidson touring motorcycles. BRA-LR: These fairing bras are custom made in the USA from a single piece of 5-6 oz leather. Each bra is hand crafted to fit your Harley-Davidson batwing fairing. This design is unlike anything, anywhere. Stones bounce off and bugs clean off easily. It's the "cool" alternative to an expensive paint job. Most orders require 10-14 fabrication days as each fairing is made-to-order. ​Recommended leather conditioner is included with your order. Windshield trim required for installation. Speical order item. The BRA-LR comes with an OEM warranty against defects in manufacturing and materials. Warranty does not cover damage caused by misuse, abuse, or collision. Keep in mind that leather comes from cows who get scratches and cuts just like people do. These add character to the leather and are not considered flaws. 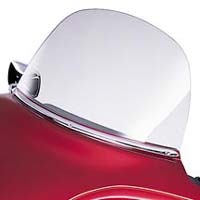 Warranty is void if product is damaged or if product is not installed properly, or installed without windshield trim. Warranty is also void if proper care was not taken to treat and protect the leather. This warranty applies only to the original purchaser. When considering leather remember, as with all leather products, care must be taken to insure that the leather is being cared for with products and cleaners designed specifically for leather. If left untreated leather will dry and crack. Treat periodically with a water resistance treatment product to ensure a long life. Carnaube Creme is a wax coating that aids in water resistance and bug removal. 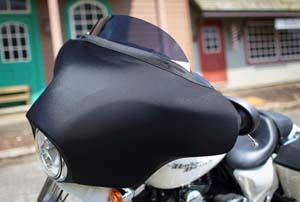 BRA-07: Offering a custom look and protection from the elements for your fairing. This Fairing Bra is made with non-abrasive, fleece-backed vinyl. Designed for easy installation and a custom fit. Features a Bar & Shield logo. 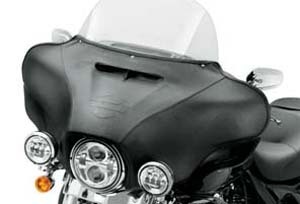 Fits '14-later Electra Glide®, Street Glide® and Tri Glide™ models. Special order item. BRA-00: Offering a custom look and protection for your fairing from the elements, this Fairing Bra is made with non-abrasive, fleece backed vinyl material and features a Bar & Shield logo. It is designed for easy installation and a custom fit. Requires separate purchase of Chrome Windshield Molding BRM-96. 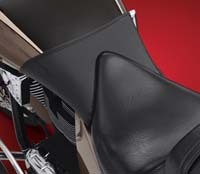 Fits '96-'13 Electra Glide® (including FLHTCUTG) and Street Glide® models. Special order item. 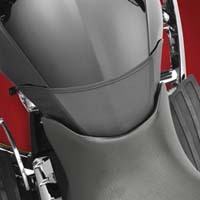 BRA-713: Protect the finish for your motorcycle's fairing with one of our new fairing bras. 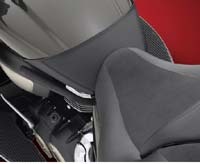 Supple looking, marine-grade SaddleHyde looks great while keeping the road crud off of your fairing. A superb fit and special backing provides for light bra contact to the fairing surface to prevent rub-marks. Cover appearance complements many of our seat’s covers. 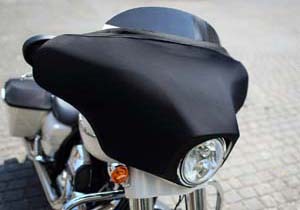 Simple installation – does not require fairing removal; instructions and mounting hardware included. Designed and made in the U.S.A. Fits 1996 - 2013 Electra Glide and H-D Trike Batwing OEM fairings. 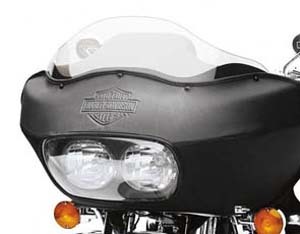 BRA-46: With a custom fit and an embossed Bar & Shield logo, this fleece lined vinyl Fairing Bra protects your Road Glide® fairing from the elements with a touch of style. 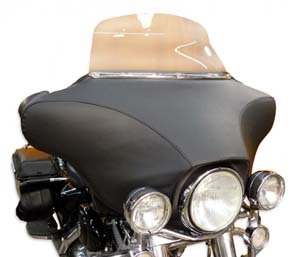 Designed for easy installation, this one-piece Fairing Bra helps protect your paint from stone chips and bug residue. Fits '98-'13 Road Glide® models. Special order item. 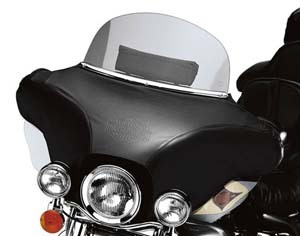 BRA-47: Fits: '98-'13 Harley Davidson Road Glide FLTR models. Weather resistant vinyl. Installs and removes easily. TBRA-63: Manufactured from non-abrasive, fleece backed vinyl, this tank bra for your Touring model features an embroidered Bar & Shield logo. It protects your fuel tank from belt buckle and key scratches, and nicks from road debris. Designed for easy installation and a custom fit without tank or seat removal. 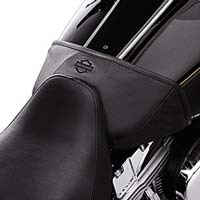 TBRA-90: Gas Tank Mini Bra line that protects your gas tank from buckle, zipper and knee scratches with an all new fitment for the Harley FLH models. It conveniently wraps around the gas tank betweenyou and the seat, providing a tailored fit design with scratch protection. Securely attaches with hook and loop to the gas tank, allowing easy access for cleaning. Made in the USA. Fits Harley FLH 1993 to current. 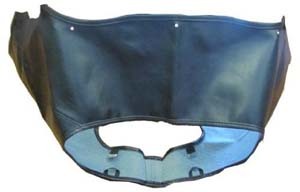 TBRA-120: GAS TANK MINI BRA, Black, For Yamaha Star Venture/Eluder, Made in USA. 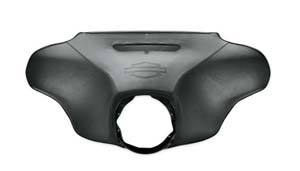 TBRA-V: A great way to help protect your gas tank from buckle, zipper, and knee scratches with their new Gas Tank Mini Bra. 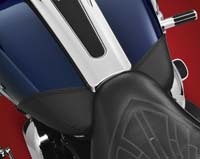 The first one out is for the Victory Cross Roads, Cross Country and Magnum and wraps around thegas tank between you and the seat, providing a tailored fit design with scratch protection. Securely attaches with hook and loop to the gas tank, allowing easy access for cleaning. Made in the USA. Fits Victory Cross Country,, Cross Roads & Magnum, Made in USA.